Here’s what’s happening Today in the 914, according to Westchester Woman:?Rio Olympian Deajah Stevens Thanks Mount Vernon; Rally Against Tuckahoe Hotel Built on ‘Toxic Dump’; MORE. 1.) 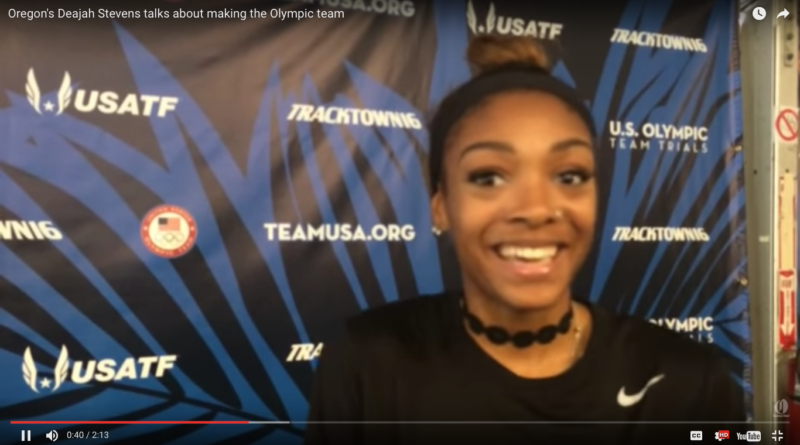 Deajah Stevens sent her hometown a video from the Olympic Village in Rio, where she will compete in the 200 meter dash, as a show of gratitude?for helping her to achieve her goals. “Thank you Mount Vernon for being so supportive of me,” the 21-year-old Olympian said. The City of Mount Vernon held a rally in honor of?Stevens, where her family thanked local businesses and others who donated $13,000 so her family could watch her compete in Rio. Sorry to interrupt… Access to News12 is free for Optimum, Comcast ?, Time Warner ? and Service Electric video customers. Please enjoy 5 complimentary views to articles, photos, and videos during the next 30 days. Mayor Richard Thomas noted how Dejah’s was not only fulfilling her dream for herself, but for all the girls of Mount Vernon. TUCKAHOE, NY – Concerned residents will hold a rally Monday in front of Village Hall in Tuckahoe to protest what they consider insufficient testing and safety protocols for the Marriott SpringHill Suites and detached restaurant at the former Marbledale Road Quarry. Westchester County was named one of the top digital counties in the U.S. for the fourth consecutive year. WHITE PLAINS, N.Y. — Ebony White looks no further than her Yonkers upbringing to find where she discovered a passion for helping young men and women find jobs. White works now as the Director of Workforce and Employer Development for The Business Council of Westchester (BCW) in White Plains. Two men from Westchester are among the 214 federal inmates to make the list of nonviolent offenders who had their prison sentences cut Wednesday by President Barack Obama as part of an effort to reform the country’s criminal justice system when it comes to certain drug crimes, according to multiple reports.